The Alabama Crimson Tide are more than a touchdown better than every team in the nation. At least according to Las Vegas. 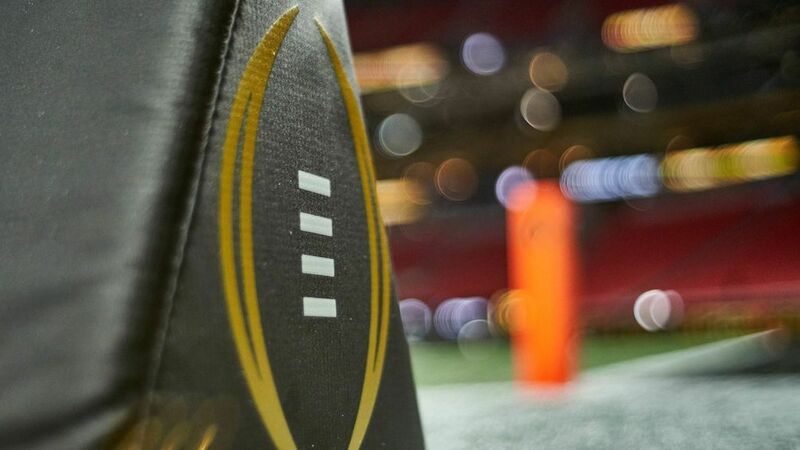 OddsShark shared lines from BetOnline.ag for hypothetical national championship games featuring the Crimson Tide, and the SEC powerhouse would be 8.5-point favorites against Clemson, 20.5 favorites against Notre Dame and 14-point favorites against Michigan. Dominance is nothing new for Alabama. After all, Nick Saban's program has reached the College Football Playoff field in all four years of its existence and won the national title twice during that span. However, much of that success has come behind a stifling defense and strong running game. 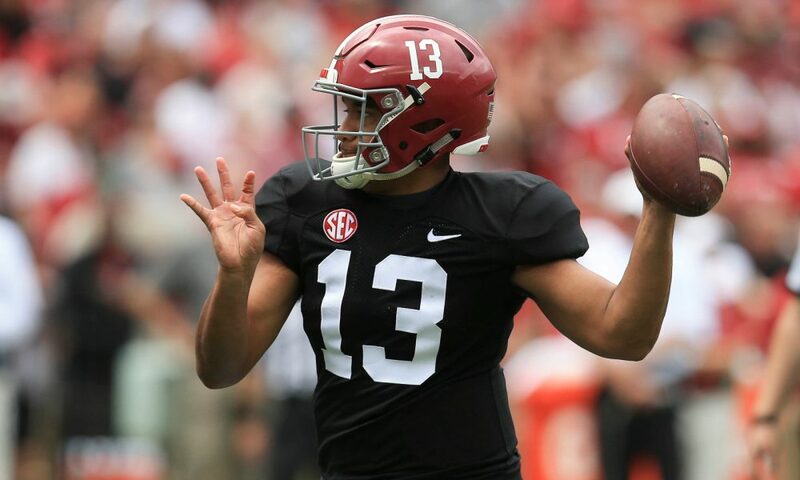 This year is different with quarterback Tua Tagovailoa slinging the ball all over the field as a Heisman Trophy front-runner. He has completed 68 percent of his passes for 2,361 yards, 27 touchdowns and just one interception even though he rarely takes meaningful snaps in the fourth quarter. Alabama's closest game thus far was a 22-point win over Texas A&M, and not even No. 3 LSU could challenge on its home field Saturday during a 29-0 loss. A playoff matchup against Clemson would mark the fourth straight year the two teams played in the postseason. Alabama won two of the previous three, although the Tigers capped the 2016 season with a championship game victory against Saban. Clemson is the closest in these lines after it steamrolled its past four opponents by a combined 204 points, while the undefeated Fighting Irish are overwhelming underdogs after struggling against the likes of Pittsburgh, Northwestern, Vanderbilt and Ball State throughout the season. While Notre Dame did beat Michigan, the Wolverines seem to be hitting their stride after a 42-7 win over Penn State behind a formidable defense. The Big Ten school leads the country in yards allowed per game at 216, and the second-place team is well behind at 265. 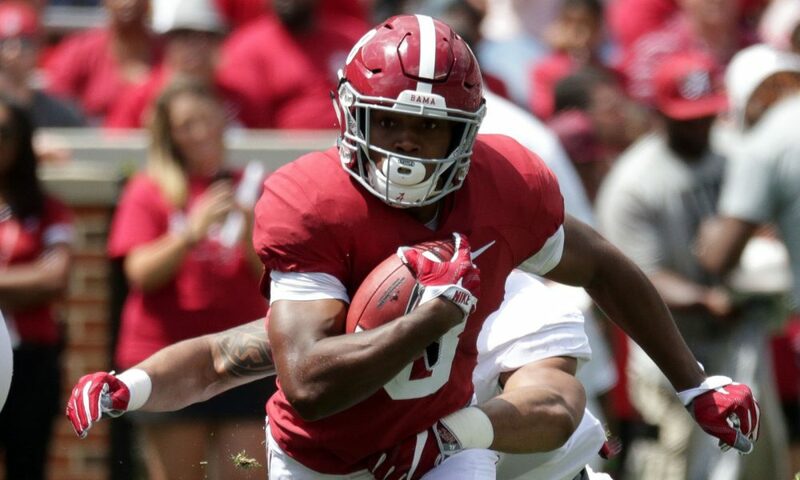 Stopping Tagovailoa would be a tall task, but Michigan may have the only defense capable of doing so as the Crimson Tide march toward a potential third championship in four years.